Discover the unique healing treatments and classes from holistic wellness expert Denise Galon. PhD. LCICI, CMT, RA, TCM, D.AYUR. - BIOSCAN DIAGNOSTIC READING WITH ESSENTIAL OIL AND BIOMAT TREATMENT - $70 (normally $135) AND ION CELL FOOT DETOX CLEANSE ONLY $50 (normally $75), BOTH TREATMENTS TOGETHER ONLY $100! Stock up on Gift Certificates to use yourself or Gift a friend or relative. Also, look at the 2019 Package Deals. Look below in Treatment Descriptions for Bulk Sale Prices (highlighted in Red). Keep your health on track with regular assessments and treatments. Remember that gift certificates purchased at these special rates can be used at a later date. Denise describes some Champissage techniques on Oprah.com. Read more. In this Turtle Shell Health podcast, Denise discusses simple immune system boosting techniques. Listen here. In this Turtle Shell Health podcast, Denise discusses the healing power of Head Massage and Essential Oils. Listen here. Mitchell Rabin of A Better World TV interviews Denise in this exclusive clip. Watch here. Check out Denise's listing at New York's Leading Center of Holistic Learning and World Culture here. Very exclusive treatments by appointment only. Gift certificates are available for all healing treatments. Please inquire! You'll be amazed by our Mehta Face Lift treatment. See real results after just one session! Check out our top picks on healing products that really work. Call to get more info or arrange for a sample session or to have a healing party at your office or home! New Slique Weight Loss Products! Click here to purchase your kit. These are the products which helped Denise lose over 60 pounds! For more information, call 917-400-8110. Learn modalities and techniques from the London Centre of Indian Champissage from the first U.S. licensed instructor, Denise Galon. We continually add events, so visit often. Call 917-400-8110 to RSVP. Learn how to get rid of stress headaches using massage, essential oils and energy. Please RSVP. Check website for description. 7 hours of CEUs provided. Release emotional blocks with this powerful technique. Make your dreams come true. Please RSVP. Check website for description. 21 hours of CEUs provided. Check website for description. 28 hours of CEUs provided. Look your best for the Holidays! This 2 hour class will give you a method of working your face to stay young looking and feel healthy. Please RSVP. Come enjoy some wonderful Slique Weight Loss goodies and start your journey back to great health, and get swimsuit ready. Please RSVP. Learn how to make your own blend of products (lip balm, lotion, spray and more). Take home your creations. Please RSVP. See below and Call 917-400-8110 for more information or to reserve your space. Champi, the Indian word meaning head massage, has been practiced in India over 1,000 years. Champissage is based on these traditional methods along with attention to the shoulders, upper arms, neck, scalp, face, ears and energy balancing. This technique can provide relief from aches, pains, and stress symptoms, as well as comfort and balance energy flow, giving you a deep sense of peace, calm and tranquility. Accumulated stress and tension can adversely affect the important energy centers of the head, neck, and shoulders. Champissage utilizes a firm and gentle rhythm to help unknot blockages and relieve this uncomfortable build-up of tension. Its effect is not just physical: it works on an emotional level to calm the spirit, promote relaxation, and relieve stress. This treatment is for anyone who wants to feel better, but is especially good for people who feel despondent, depressed, worried, tense, stressed or have stress-related problems like headaches, eyestrain, hair loss, premature graying, insomnia, fatigue, sinus problems, and ear aches. This specialized technique incorporates the ancient system of Ayurveda and works in the higher chakras (sahasrara, ajna, and vishuddha) and can bring the energy of the whole body back into balance. This powerful healing effect cannot be realized through simple massage and is unique to Champissage. Champissage is done seated in a chair fully clothed without oils or creams. Although the traditional Indian head massage is done with special oils to promote lustrous hair in India, this method is designed to be convenient enough to be done in the workplace, which is one of the prime stress areas of the Western culture. To schedule an appointment, contact Denise Galon at 917-400-8110 or divadtg@aol.com. Please view our cancellation policy. Facial Rejuvenation is a natural face-lift massage with healing. It is a non-invasive approach to looking younger and works primarily by freeing constrictions both within the facial muscles and in the connective tissue. Tension can build up within our facial muscles from the pressures of everyday life without us realizing it. It can be easy for certain thoughts and emotions to become habitual, locking themselves into expressions on our faces—sometimes over the duration of a whole lifetime. Under such conditions muscles can actually “dry up” and contract, inhabiting freedom of expression. This can encourage ageing and the formation of wrinkles as the face loses its muscle tone and elasticity and begins to sag. Gentle massage of the face can help to delay the ageing process. Facial Rejuvenation is a precise healthcare modality. The facial muscles are coaxed to relax by 1) working the face systematically, 2) releasing deep-seated tensions, and 3) freeing layers of muscle and connective tissue. Microcirculation and elimination are restored and the facial tissues glide more smoothly over the deeper layers of muscle and bone. Although it is difficult to stave off the ageing process, the intent is to extend the appearance of youth and beauty. By using simple, natural and effective massage with energy balancing healing techniques, Facial Rejuvenation is a new and exciting way to take care of the assets we possess. Click here to download a PDF with some amazing Before and After photographs of treatment recipients. Kansa Vatki Foot Massage has been practiced in India for centuries, following the Ayurvedic tradition. The treatment utilizes a small metal bowl to rebalance the Vata, Pitta, and Kapha doshas. Clarified butter, or ghee, is also used in this treatment. The technique works on the feet and lower limbs, with emphasis on marma points and Kansa Vatki movements. A soothing session helps to draw out excess heat, leaving the entire body cool, refreshed, and relaxed. This treatment is ideal for those who spend long hours on their feet. Raindrop Technique is a therapeutic application of 9 essential oils dropped like raindrops down the spine with a soothing massage like application. This technique can help to restore balance in life and health. It is a full body tune-up. This technique is one of the safest, effective non-invasive techniques available. Some of the oils used are Thyme, Oregano, Wintergreen, Peppermint, Basil, and Marjoram. Only pure therapeutic grade Young Living essential oils are used in this treatment. Young Living essential oils are medicinal in quality because they are organically grown and distilled to maintain the proper frequency of the plants life blood, which assimilates well with our body to create an instant dramatic change in the cells. The oils used will continue to restore and heal the body for up to one-week following the treatment, with continued re-alignment taking place during this time. The Raindrop Technique boosts the immune system; clears sinus and respiratory congestion; balances electrical frequencies; relaxes and invigorates; releases dormant bacteria, viruses and fungi in spine; relieves back inflammation, pain and misalignments; and, releases emotions stuck in the physical body. It is recommended for addressing curvature of the spine (scoliosis), herniated disks, fatigue, chronic conditions, Lyme disease, auto-immune deficiencies, inflammation, pain and more. This revolutionary treatment is a new way to bring balance and harmony to the body—physically, mentally, and emotionally. The Abhyanga massage is an Ayurvedic therapy done with a warm oil specifically selected to balance your dosha or constitution. You receive a dosha test prior to the treatment to determine your specific needs. This treatment is done on a massage table, first with dry brushing to remove dry, flaking skin and then the selected oil is applied with long up and down strokes over the limbs and gentle circular strokes over joints, chest and abdomen followed by hot stone massage in the same pattern. We finish the treatment with some head and face massage for a truly blissful experience. This technique allows the body to re-tune itself by improving circulation and lubrication; it strengthens and tones the muscles and joints; releases deep-seated toxins for elimination from the body; keeps skin supple, moisturized and nourished; balances the emotions and keeps the mind calm, focused and alert; and, increases energy throughout the day and promotes sound sleep at night. For a complete detoxifcation you may add a FIR Sauna treatment and for weight loss, muscle stimulation and friction technique, which can be done all over the body or just to target specific areas. The Cupping massage is a specific soft cup therapy to increase lymph drainage and reduce cellulite. This treatment improves circulation; releases deep-seated toxins for elimination from the body; tightens the skin. For a complete detoxifcation you may add a FIR Sauna treatment and for weight loss. This technique can be done all over the body or just to target specific areas. This is an advanced technique that employs hands (Su) and feet (Jok) t0 reach connected organs and systems. On stimulation of specific points, curative energy wavesare sent to the connected organs/systems and the brain, resulting in relief from pain and illness. With Dr Galon's knowledge of Ayurveda, she can help with chronic pain and illness with this technique. A two-hour consultation with medical intuitive, Galon, using Iridology, Asian Medicine and the Zyto Compass BioScan to assess your body, mind and spirit to identify and establish an action plan for your holistic treatment. The Zyto Balance Compass BioScans your entire body and determines what is working and what is not and actually pin points your physical and emotional imbalances. This innovative technology, developed by an acupuncturist has an 96% acuracy. It actually recommends natural products exclusive to your imbalance that can help boost your body's function to heal and move you to optimum health. We add the therapeutic grade essential oils and supplements that are recommended in the session. And, you may also add a meditative BioMat treatment for optimal wellness. The BioMat is an FDA approved medical device that is quantum state-of-the-art technology using amethyst quartz channels to super conduct far infrared light waves of high frequency into the body. It also produces negative ions, nature's energizer, which delivers a molecular level massage that accelerates and deepens all healing and cleansing processes stimulating healing and regeneration of nerves and muscle tissue layers. It is the "Master Power Switch" that activates the body's entire cellular communication system thereby balancing the pH, alleviating allergies, migraines, sinus problems, reduces inflammation, hangovers, toxic residue, addictions, burns calories, restores Psychological well being, and destroys cancer and viral cells without harming surrounding healthy cells. All treatments done on the massage table in office include a complimentary BioMat treatment. To purchase your own BioMat, visit our Wellness Products section. The revolutionary BioEnergiser Detox Spa system is designed to re-energize your system, create new energy levels and aid in total relaxation! Stress & diet introduce toxins into your body that cause an electrical imbalance in your cells. This detox starts the process of rebalancing your body's bioenergy to effectively re-balance your cells equilibrium of positive & negative ions. This, in turn, kick starts the dispersal of unwanted toxins. The secret is an energizing cartridge that creates a safe electronic flow & bio-energetic field that moves through your body. Toxins are then released through the 2000 pores in your feet while they receive a gentle massage. The AromaDome is built on the same concept, for those old enought to remember the oxygen tent. You are enveloped in a lightweight tent over the torso, lying on the massage table, while therapeutic grade essential oils are diffused into the tent, creating an environment where your pineal gland becomes fully exposed to the powerful effect of the healing oils. You are breathing in this treatment. I offer specific treatments for bronchial, emotional and physical issues. You may go to http://aromadome.com/about/ to have a look at the AromaDome and read why and how it works. To schedule an appointment, contact Denise Galon at 917-400-8110 or divadtg@aol.com. Please view our cancellation policy.. This far infared sauna uses infared heaters to eliminate toxins, eliminate stress, assist in weight loss, gently and safely eliminate heavy metals and toxic chemicals from the body. The beauty of using this Relax unit in which you are seated with your head outside the unit, is that you do not breathe in the toxins released during the treatment unlike sauna rooms. This self contained instrument focus' warm water over the third eye (center of forehead) area to calm down nervous thoughts and energy, relaxing you into a state of bliss. Shirodhara is used to treat a variety of conditions including eye diseases, sinusitis, allergic rhinitis, greying of hair, neurological disorders, memory loss, insomnia, hearing impairment, tinnitus, vertigo, Meniere's disease, and certain types of skin diseases like psoriasis. It is also used for its relaxing properties. Touch for Health is a system of balancing posture, attitude, and life energy to relieve stress, aches and pains. You will feel and function better, be more effective, clarify and achieve your goals, and enjoy your life. Touch for Health is a form of distance healing, and is appropriate disabled individuals who are unable to stand or walk. This ancient therapy helps to clear passages to help release earwax, buildup and debris from the ear canal. Ear coning uses hollow candles and when lit, the fire creates a natural vacuum to stimulate the peripheral lymph system. The radiant heat spreads over acupressure points in and around the ear stimulating the body chi providing alignment and balance. Add a Head Massage treatment for extreme clarity and bliss. This William Powers™ Fitness total-body fitness machine is an easy and relaxing way to enhance your health. The platform has powerful vibration technology that causes your muscles to contract which helps activate your muscles, stimulate blood circulation, rev up your metabolism and more. Plus, it's as easy as standing up! Features 10 adjustable speed levels, 4 working modes, 150-550 RPM motor speed range, slip resistant platform, comfortable hand grip for stability, and on-board electronics that display workout time, speed and calories burned. 330lbs. weight capacity. The Chi Machine enables the human body to gently move from side to side in a figure of eight (the same way a goldfish swims), maximizing the body's natural absorption of oxygen, using all the movement orbits of the human anatomy. This movement may be compared to a masseuse holding your ankles and swinging you from side to side after massage. The Chi Machine aids in maintaining physical wellness and thus the prevention of illness and physical disorders by maximizing supplemental oxygenation of your entire body at cellular level via passive physical stimulation. The MedLight is a safe, effective, noninvasive, alternative to pain relief medications. Using Low Level Laser technology, the MedLight provides real pain relief. Near-IR energy floods the treated area, increasing local blood circulation, creating a gentle warming sensation and provides relief from arthritis, stiffness, joint pain, muscle stiffness and muscle spasms. Add a therapeutic grade essential oil like Young Living's PanAway or Deep Relief and you are ready to run again. The Wand is a natural energy-generating device made up of a special combination of granulated minerals, crystals, processed using Fusion Technology. The Wand reminds the cells of where they originated - Homeostasis—Perfect Balance, and promotes self healing by releasing Chi energy resonance activating life force energy inside the cells and tissues by unblocking energy channels initiating the body to heal itself. Learn head massage techniques that will make a difference in your life. Champissage is a massage therapy that is physical, mental, and subtle. Developed by Narendra Mehta B.A., L.C.S.P., the modality is a combination of traditional Indian head massage with further attention given to the face, neck, upper arms, and shoulders. An Ayurvedic element of work on the three higher Chakras (Visuddha, Ajna, and Sahasrara), helps the body's entire energy rebalance during the treatment. Mr. Mehta is the author of Indian Head Massage and co-author of The Art of the Indian Face Massage. He has over 30 years experience in bodywork. He established the London Centre of Indian Champissage in 1995 and continues to train students around the world. In our three-day intensive course, Denise Galon, first of the few certified Champissage instructors in the United States, will provide a comprehensive grounding in the theoretical basis and practical application of Indian Champissage. Students will be able to use the technique as a principal or complementary part of their professional practice. The course includes three days of practical instruction and workbook. An attendance certificate will be awarded at the end of the course. According to Ms. Galon, "Champissage has changed my life both as a receiver, practitioner, and instructor of this powerful therapy. The treatment can be done anywhere, anytime, and the benefits for both the practitioner and receiver are tremendous. It is a treatment that I never tire in giving." To register or for more information, contact Denise Galon at 917-400-8110 or divadtg@aol.com. Please view our cancellation policy. This non-surgical face-lift massage technique also works the entire body. This course will teach you a non-invasive approach to working with the face by freeing constrictions both within the facial muscles and in the connective tissue. Learn Indian marma energy points, smoothing, and face-lift massage techniques to effectively give your client a non-surgical face-lift. As this technique works on accu and marma points it is also a treatment for the whole body making it a powerful healing therapy. It is a four-day intensive and recommended to anyone in the massage, aesthetic, and energy businesses. An attendance certificate will be provided at the class end. For practical certification you must complete the practical homework and case studies. Learn an easy foot therapy that balances the whole body. This certification class will teach you the basics of working with the three Ayurvedic doshas and how to balance them through a relaxing foot treatment. The technique is done with a Kansa Vatki bowl and ghee as well as massage techniques to work on marma and chakra points on the feet and legs. Each student will receive a Kansa Vatki bowl made of three metals (zinc, tin and copper) to use during the class, and to take home to use in their practice. The combination of metals in the bowl has a powerful effect on the body's energies, and is more effective than gold and silver on the various internal organs and energy channels. This instruction is simple enough to absorb in one day, but powerful enough to bring relaxation and balance for a dramatic shift in your client's energy. Learn an essential oil healing technique that is simple to learn, safe, and effective to give. Raindrop Technique is a powerful healing application of pure therapeutic grade essential oils developed by Dr. Gary Young. The technique incorporates methods from Massage, Reflexology, Polarity and Native American Healing. Nine therapeutic grade essential oils are layered onto the spine and back, specifically balancing every system of the body. Raindrop is easy to learn and safe for all ages. This class is limited to 2 or 3 students for hands on instruction. You will both give and receive a Raindrop Technique session. If you are a massage therapist, this will greatly enhance your practice. This will be a profound personal healing day. Come enjoy nature at this beautiful Retreat Center in Bucks County, PA, as you spend time with like-minded folk on their Spiritual Detox journey. Choose to eat nourishing Ayurvedic vegetairan meals, enhanced with essential oils; raw vegan juice fast; or, do a Puruim Detox. A BioScan and mini-consult with Dr. Galon will be given to each retreat participant on Friday upon arrival to identify your unique plan of action to start your weekend journey. In the morning you will rise with Meditation and Breathing exercises, Belly Dancing and Yoga. Evening Workshops, enhanced with essential oils, will focus on emotional healing to help you become aware of the background of dis-ease and give you a method of how you can help to heal yourself, keep stress free, become more balanced and action oriented. Afternoons are left for Lake activities, walks or that nap you have been craving. You will have the opportunity to enjoy healing tools, Life Purpose assessments, and body treatments (at an additional cost) to enhance your retreat experience. Bring yourself, your challenges and let us help you journey into optimum health! Dr. Denise Galon specializes in Asian medicine, Aromatherapy, Nutrition, Metaphysics, and very specific Bodywork that she brought into the USA. She is a true Empath known for her compassiionate approach to healing. Olivia Whiteman is a Life Coach who guides you with step by step practical action plans to get it done to achieve your dreams. She speaks at corporations, colleges and holistic centers to educate, energize and inspire an audience. She believes we all have an opportunity to bring significant positive changes into our lives. Her lectures and private consultations focus on definable strategies with measurable results. Retreat price includes housing at Hi-Light by the Lake. Please call 917-400-8110 for details and information. Please view our cancellation policy. To learn more about any of these wellness products, click on the product name or contact Denise Galon at 917-400-8110 or divadtg@aol.com. Therapeutic grade essential oils are used to reverse health conditions. Safe for inhalation, application, and ingestion, these oils are nature's medicine and react immediately in the blood system. This is the best superfood on the market to reverse many health conditions like diabetes, high blood pressure, high colesterol, asthma, arthritis, and more. Use this medical device from Japan to help reverse aging and disease. A must for anyone struggling with cancer, diabeties, and high blood pressure. This easy to use, carbon activated alkaline water system utilizes a silver nano filter to produce ionized hydrogen water. Super hydrating, sweet tasting, and pH blancing, ionized hydrogened water oxygenates cells and removes free radicals. This mat uses FDA approved state-of-the-art light technology to reverse degenerative disease cycles and speed cellular renewal. A hand-held natural face lift device which uses negative ions and ultrasonic vibration to lift and tone facial muscles, erase wrinkles, and promote spot healing. Take home a "Lucy" treatment sauna for detoxing and weightloss. A healthy alternative food to combat unhealthy food cravings and choices. Recommended for diabetics. Head Massage NYC has a plethora of products and detox products to help you lose and maintain a healthy weight. Includes a healthy chocolate shake, Ayurvedic cleanses, Essential Oils, Herbs and more. Clothing that heals. Visit http://tinyurl.com/DivineWellness for more information. Denise is the NYC distributor for Crystal tones. You are welcome to come in to play one of the Center's beautiful singing bowls. The bowls on site are for sale or let us order one for you. This powerful scanning system is available for treatments and you too can have the diagnostic system for home or clinic use. A healing tool that works on Chi and returns the cells to origin. Call or come in to experience a session or take home a Wand for your personal use. Wear a pendant that protects you from EMFs. In todays world there so many disturbances in the magnetic field disrupting your body, sometimes causing major dis-ease. These inexpensive pendants, key chains, dog collars, baby pendants, cell phone, computer and plug in devices help to stop that disturbance making the blood and energy flow in your body stopping headaches and more. These very inexpensive tools help you to prod deeply into your hands to stimulate painful energy points to unblock issues causing illness. i.e. if you sprain your ankle, it is very difficult to work in the swollen area of the ankle, but you can work on the corresponding finger area to get blood flowing thereby reducing the inflammation in the ankle. 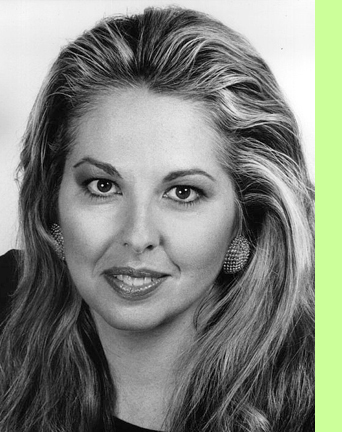 As a former professional opera singer, Dr. Galon's path in the healing arts began with her interest in Asian medicine to keep herself fit for performance and travel. After acquiring knowledge through her world travels over the last 25 years, she began her new career as a healer and holistic wellness expert over seventeen years ago. In 1996, Denise had the good fortune to meet Narendra and Kundan Mehta, who introduced her to their exclusive therapies Champissage Indian Head Massage, Indian Face-Lift Massage, and Kansa Vatki Foot Massage. She was amazed by deep effects, and decided to learn the techniques. She became the first certified practitioner on the East Coast in 1998, and is the only instructor of all three of these powerful therapies in the United States. Today, with her understanding of Asian Medicine and Aromatherapy, Denise’s treatments are profound healing experiences. They not only work with the physical body, but also deal with healing illness on a mental and subtle level. Dr. Galon is also a Certified Massage Therapist and experienced in Iridology, Sound Therapy, Aromatherapy, Ayurvedic Nutrition and Medicine, Chinese Energetic Medicine, Touch For Health Kinesthetic Healing, Chinese Herbology, Philippine Psychic Surgery, and Pranic Healing. And, as a medical intuitive, she has also tested many holistic products on the market. People Style Watch, Massage Magazine and Oprah.com have noted Denise’s expertise in the healing field. She lecturers and instructs all over the world and in New York at the New York Open Center, New Life Expo and the Omega Institute, and frequently offers free lectures and treatments in New York City to bring alternative awareness to the public. She is also part of a retreat series that takes place in Grenada at Turtle Temple Levera Beach Wellness Retreats, and at Hi-Light by the Lake in Perkasie, PA, where she presents her healing recipes and performs healing treatments and workshops. Currently, Denise is working on a book entitled Curative Cooking. The book will highlight recipes that use therapeutic grade essential oils to help people heal from diet-related diseases like high blood pressure, diabetes, and cancer. Head Massage NYC was founded in 2003 after Denise received her teaching license to instruct Indian Champissage from the London Center of Indian Champissage. Specialized exclusive treatments and classes take place in a private sanctuary. Denise and her staff are only available by private appointment. Head Massage NYC hosts a variety of classes to make NYC more aware of alternative methods and remedies for stress and illness. The privacy of this salon draws an exclusive clientel for face lifts, detox treatments, herbal and essential oil treatments with a base in Ayurveda and Asian Medicine. As a holistic healing expert, Denise has gathered the best equipment used for treatments and products sold for home treatments and gifts. The mission of Head Massage NYC is Divine Wellness through physical, mental and subtle healing touch and products. Be On Time. Another client may be scheduled following your appointment. If you are late for your appointment only the remaining scheduled time will be allotted. Please do not come too early for you appointment, as there is not a waiting area. Inform Us of Your Health Conditions. It is your responsibility to inform us of your health condition and medical history prior to your first appointment and keep us updated on any changes prior to future sessions. No Misconduct. Absolutely NO sexual misconduct is tolerated, and your services will be terminated. Cancelation Policy: Wellness Treatments. Payment is due at the time of service by cash, check or credit card (Visa, MC, Amex). As we work so specialized with our clients and certain set up is required for treatments a last minute cancelation must be paid, therefore a credit card will be required to guarantee your appointment and reserve that time for you. Your card will not be charged, however you may use it at the completion of your appointment. The total amount of the services scheduled will be charged in full for clients who "no-show" or fail to cancel their reservation within a 48-hour time period. If you need to make a change to the reservation on the day of the treatment, such as moving the appointment time, a fee may be applied due to limited availability. If you are booking your treatment with 48-hours of the actual appointment, there is no cancellation and you will be charged the full amount of the appointment. Cancelation Policy: Certification Courses. Full payment is required to guarantee your spot in a course at least two weeks prior to start of class. Should you or the instructor need to cancel the course due to an emergency, we do not provide refunds, however, we will credit you for a future certification course. Inclement Weather. If the area is closed due to bad weather, Divine Wellness NYC will also be closed. If there is a delay, you will be contacted by a staff member. If the area is not closed and you cannot make your scheduled appointment due to inclement weather, please call Divine Wellness NYC to reschedule. Gift Certificates. Gift Certificates can be used for any service of equal value or upgraded (just pay the difference). If you do not use the full value of your gift certificate, a balance will be carried. A balance cannot be used as a tip. The value of a session is used to determine a remaining balance on a gift certificate, e.g. if you choose to schedule a 30-minute Champissage while using a 45 minute gift certificate, a balance of $25 remains. Gift Certificates cannot be used for product. Tipping. Never expected, always appreciated. There are ways to show appreciation other that tipping. Referring our services to family and friends is a huge way of saying thank you. Prices, services and hours may change without notice.